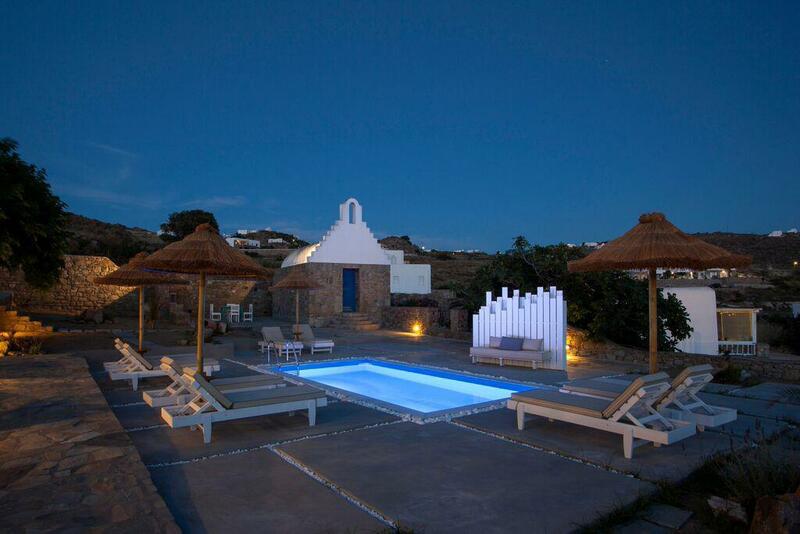 Magdalena will be the luxury Mykonos villa to host a group of 8 friends or 2 families and make them feel in paradise. 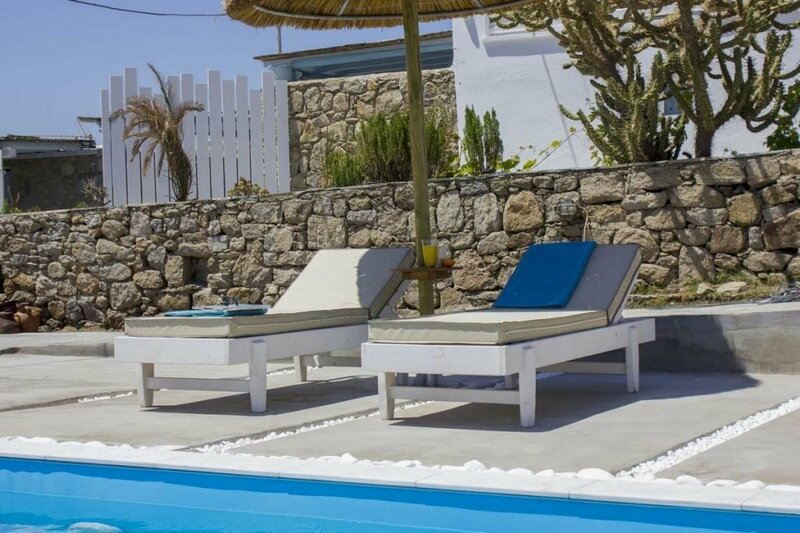 Only 500m from Ornos beach it will put you in the dilemma of getting your suntan at the beach or by the pool. 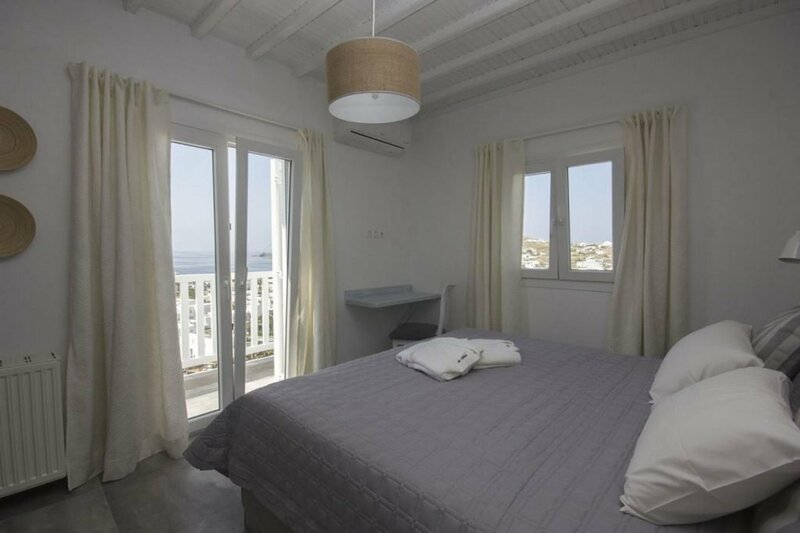 Its location in Ornos is perfect as it offers great view, wind protection and is very close to the bea utiful town. 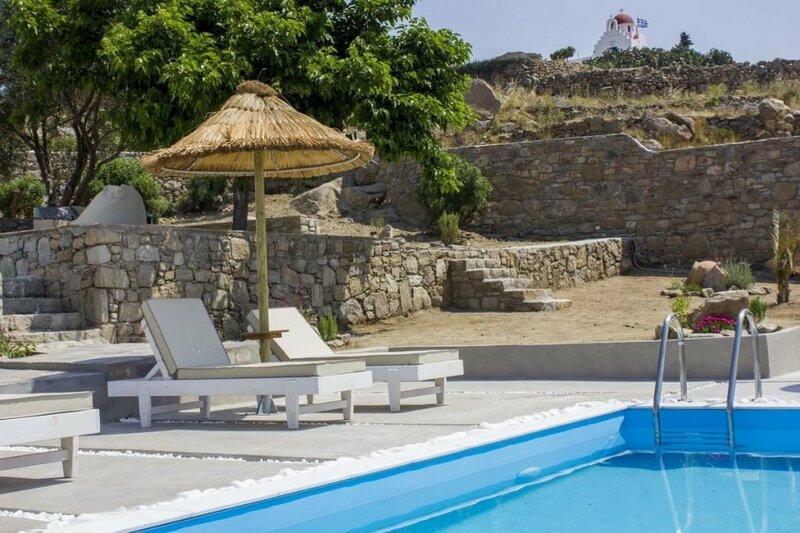 Magdalena is one the few Mykonos villas offering tech facilities ranging from home cinema and SAT TV to laptop , so the kids will be delighted to relax with after the beach. The adult party will also be delighted with the rest comforts which include king size beds, cool interior villa design, BBQ and more. Remember to take your selfie stick with you! 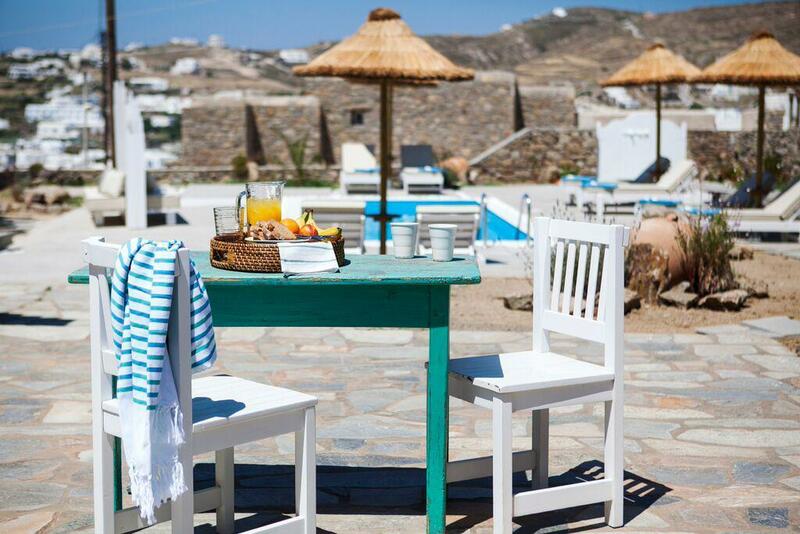 Mykonos town is magnificent and the view from your terrace the same. Enjoy beautiful sunsets and quiet mornings. 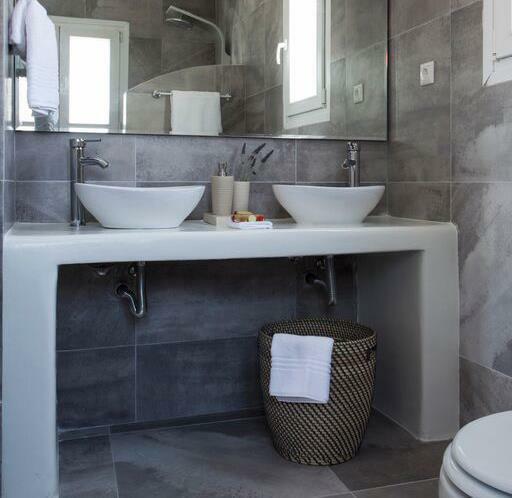 Magdalena is the best choice for relaxing holidays. 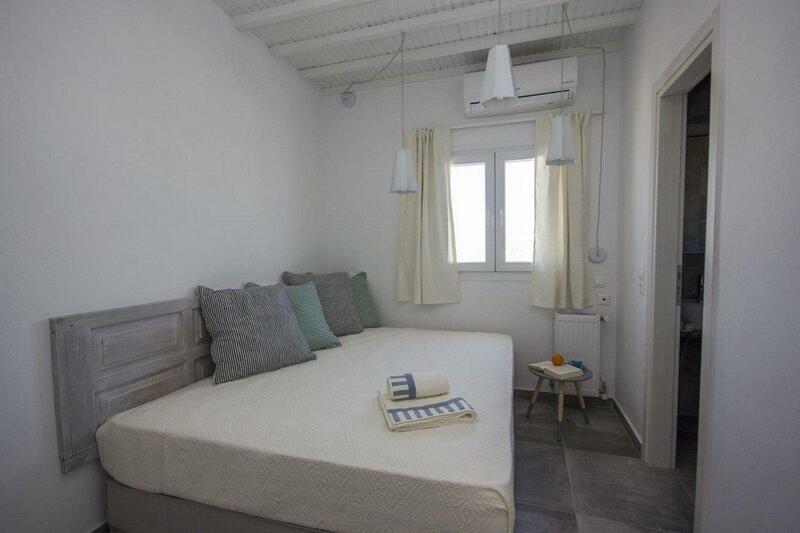 3 bedrooms with king size beds (2 can be split into twin beds), A/C, safe box, sea view. 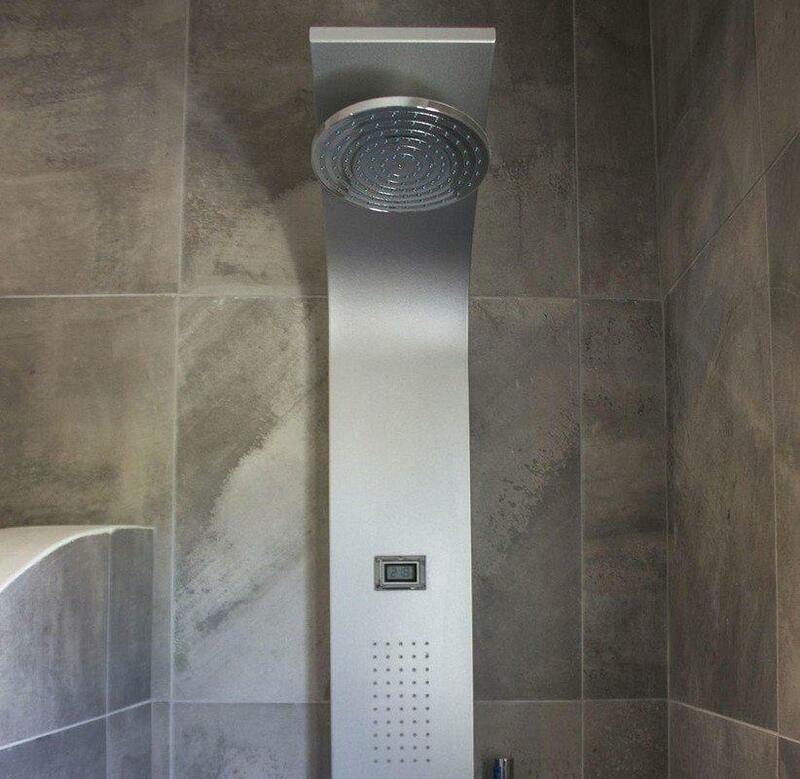 One has en-suite bathroom.